In 2014 the Frank Mohr Institute organized the alumni event Mmm, MOHR MOHR MOHR: a relay of exhibitions in 6 different venues in Haarlem. 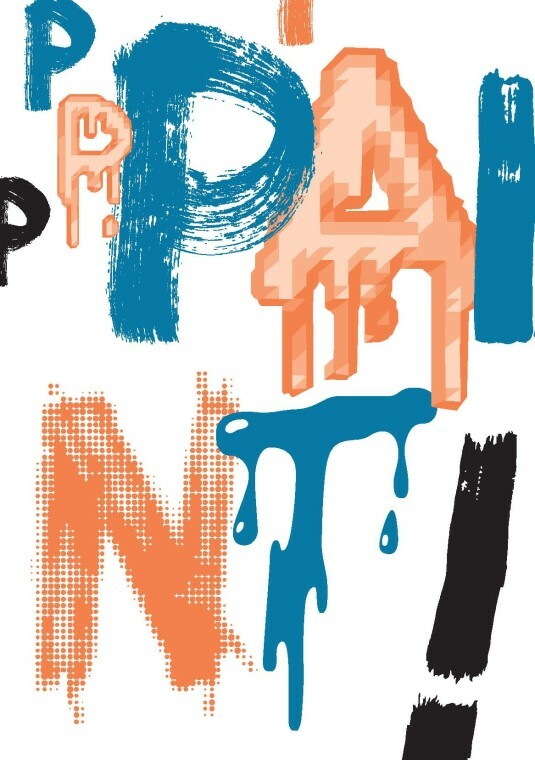 This fall (2015) we are planning the event PPP, PAINT! : a series of exhibitions, lecturers and (un)conferencing. Please your attention for the PPP, PAINT! – Part 2: the FMI Alumni Exhibition The Affair Of Painting. Please find enclosed the flyer, designed by FMI alumnus Christiaan Drost. The exhibition is completed by curator Ton Mars and can be visited on weekdays from Monday 19OCT on. Due to the Autumn holidays (19-23OCT – limited opening hours), the Official Opening is planned on Monday 26OCT (16-18 hours). Another side event on the final day of the exhibition (SAT 07NOV) is the FMI Open Day with a seminar, studio visits and bites/drinks… We’ll keep you posted on the different events. 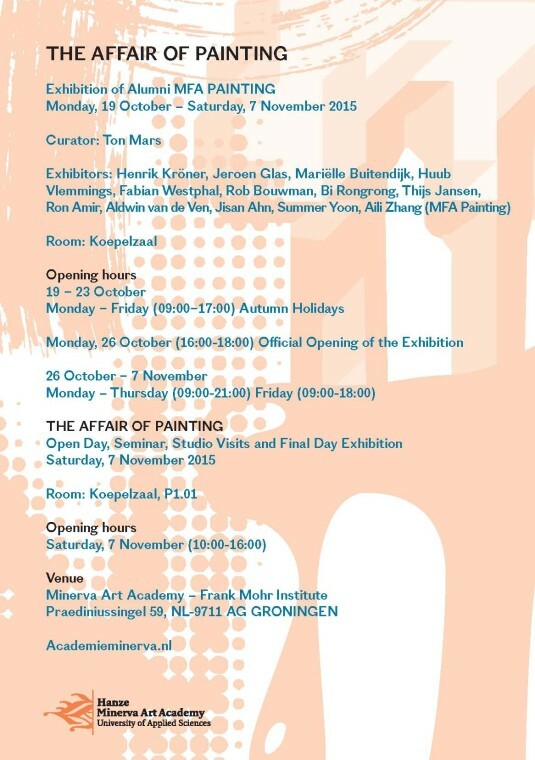 You are cordially invited to attend the Official Opening on Monday 26OCT, 16-18 hours in de Koepelzaal. Venue: Minerva Art Academy – Frank Mohr Institute, Praediniussingel 59, NL-9711 AG Groningen.